On behalf of the UNISON Manchester Branch, I would like to thank stewards and members for all the hard work they put in to make the strike, march and rally on November 30 such a tremendous success. To those who helped in the organising before the day, and all those who got in early to picket so successfully and to the thousands of our members who took part in the historic march, thank you. The march was far bigger than anyone predicted, and showed the deep strength of feeling of our members and of our colleague public sector workers. It was significant that the reaction of the vast majority of the public who saw the march was overwhelmingly positive. Many were moved by the support of members of the public throughout the march in the city centre, and by the huge and welcoming reception our health members gave as the march passed the hospitals along Oxford Road. There’s still a lot more to be done to make progress on both our pensions and pay and the attacks on our services and jobs. But everyone should be proud of what we did yesterday in showing what being part of our union is all about. We know the future will not be easy, but yesterday showed collectively that we can stand up and challenge this Government, and receive the support of the public. 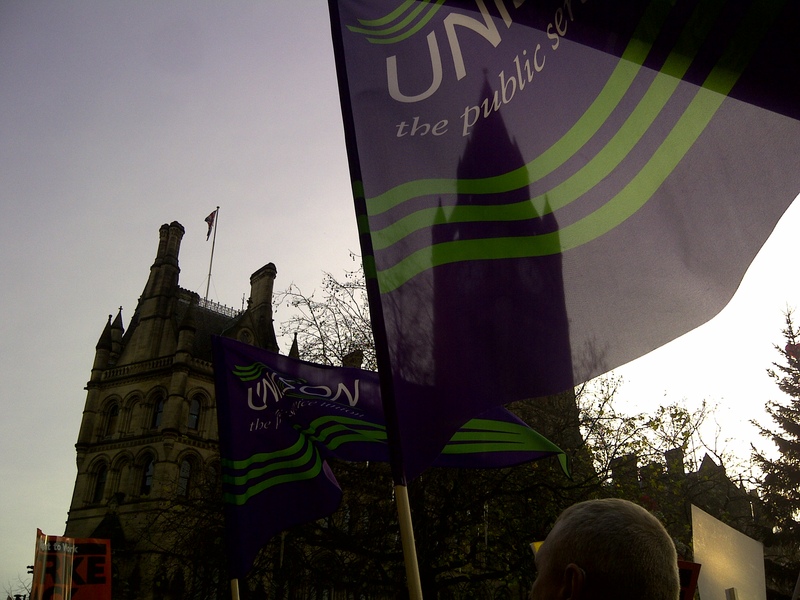 For many of our members this will have been their first experience of taking part in strike action and such a massive demonstration in Manchester.